There is a possible intertextual link between the “seven voices/thunders” of Psalm 29 and the apocalyptic New Testament book of The Revelation where the narrator heard an angel call out “with a loud voice … When he called out, the seven thunders sounded” (Revelation 10:1-4). The use of the definite article suggests that there were seven specific thunders he had in mind. Elsewhere he heard seven angels blow on seven trumpets “and there were peals of thunder, rumblings, flashes of lightning, and an earthquake” (Revelation 8:2-5). The similarity in the language suggests that the writer either had the language of Psalm 29 in mind (and the Psalms are among the most quoted biblical books in early Christian literature), or was drawing on the same pool of metaphors which inspired the writer of Psalm 29. The mention of seven trumpets along with seven thunders and the frequency of Temple imagery in The Revelation further suggest that the writer may have been referring to a liturgical use of trumpets in connection with the language of Psalm 29, and I will return later to this connection. 1 For example, at Ugarit there were seventy sons of the gods (KTU 1.4:VI.46). 3 J. Day,, “Echoes of Baal’s Seven Thunders and Lightnings in Psalm XXIX and Habakkuk III 9 and the Identity of the Seraphim in Isaiah VI” Vetus Testamentum, Vol. 29, Fasc. 2 (Apr., 1979), 143ff. 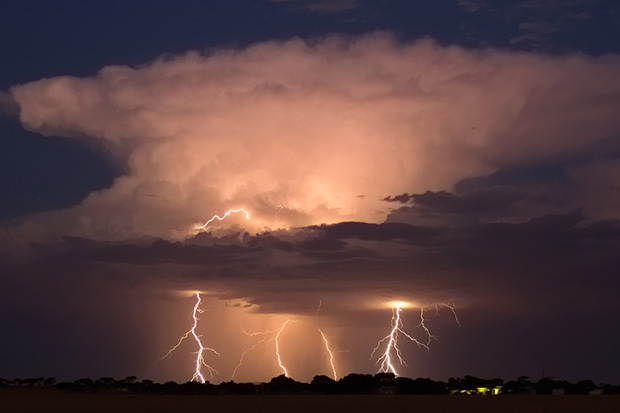 4 Day understands the juxtaposition of ‘seven” and “eight” to be a poetic device for emphasis meaning “seven”, hence “seven lightnings and seven thunders”. This entry was posted in Psalms and tagged Baal, Hebrew Bible, Old Testament, Storm god.